What more could a canoodling couple want from their holiday? A heart-shaped island, that's what. 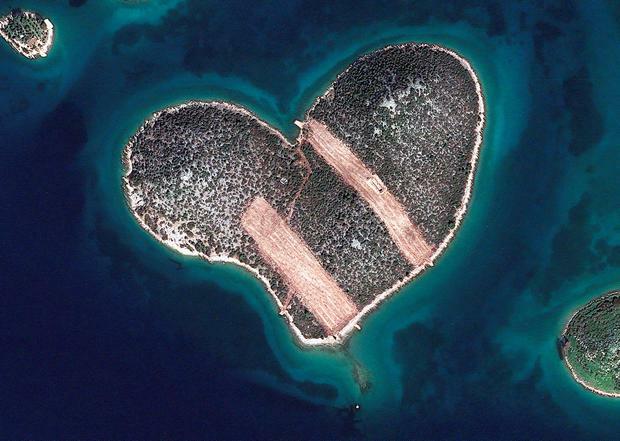 Galesnjak is a pint-sized slice of paradise located between Pasman and mainland Croatia in the Zadar Archipelago. It was noticed by eagle-eyed browsers on Google Earth in 2009, and there's no prizes for guessing why it has become a honeymoon hotspot since. At the time, news reports suggested that even the owners of the island hadn't realised the amorous geography of their Adriatic gem. Galesnjak, known as 'Lover's Island', measures barely 32 acres. It is uninhabited, rocky, and devoid of facilities - so think twice before rocking up in your wedding dress. Boats can be rented from nearby Pasman or Zadar. Visitors can also join cruises which make a stop-off at the romantic hideaway. A speedboat trip from Zadar with Sailing Croatia (sailingcroatia.hr), for example, costs €420 including skipper, picnic, fishing and snorkelling equipment. A half-day boat trip with Nav Travel (navadriatic.com) is advertised from 500 Kuna (€66pp). As for the strips visible on the island, the owner has reportedly been developing it as a potential wedding venue by clearing land for olive groves and a new pier. Galesnjak existed long before Google Earth, of course. The island's heart-shape was reportedly noted by Napoleon's cartographer way back in 1806. Nor is it the only heart-shaped island awaiting Cupid's castaways. 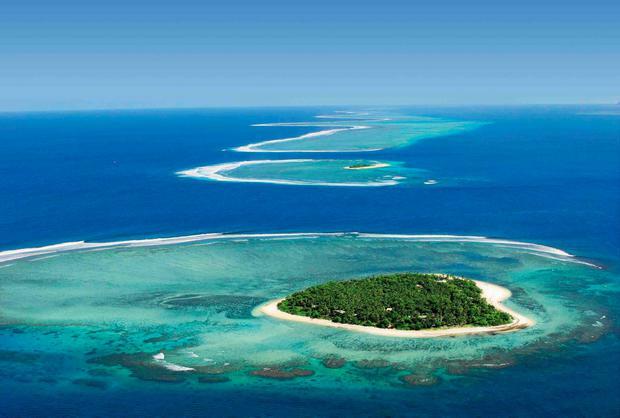 Fiji's Tavarua Island (pictured above), Harbor Island in Maine and of course, the manmade St Petersburg isle in Dubai all await your arrival. Is this the world's sexiest bedroom?